How to Find Out About Engineering provides a guide to sources of information on engineering and its various branches. Topics include branches of engineering, careers in engineering, sources of engineering-related information, libraries, handbooks, patents, dictionaries and encyclopedias, and periodical literature. Engineering organizations as well as education and training for careers in engineering are also considered. 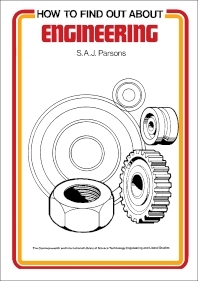 This volume consists of 20 chapters; the first of which introduces the reader to jobs available in the engineering industry, along with guides and sources of information on careers. The discussion then turns to sources of information on engineering such as bibliographies, reference works, publishers' and booksellers' catalogs, government publications, and industrial liaison centers in Britain. The chapters that follow focus on libraries and other sources of information that are available to engineers and engineering students, including handbooks, standards, patents, and technical drawings and designs. Dictionaries, encyclopedias, theses, and translations are also covered. In addition, the book includes chapters on the history and biography of engineering as well as different branches of engineering, from mechanical to chemical, aeronautical, and agricultural engineering. This book will be of interest to all persons engaged in the engineering profession or are contemplating on entering the profession.